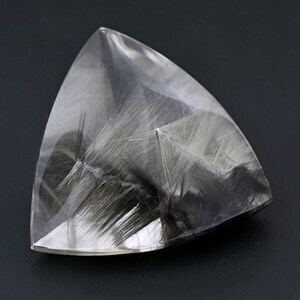 Size: 20.05 x 15.07 mm. 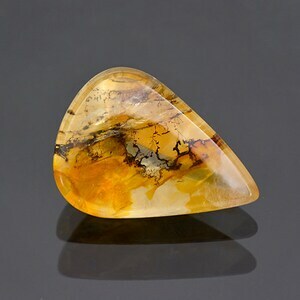 Brazil has a vast amount of fantastic inclusion gemstones, but good quality stones like this are more difficult to find. 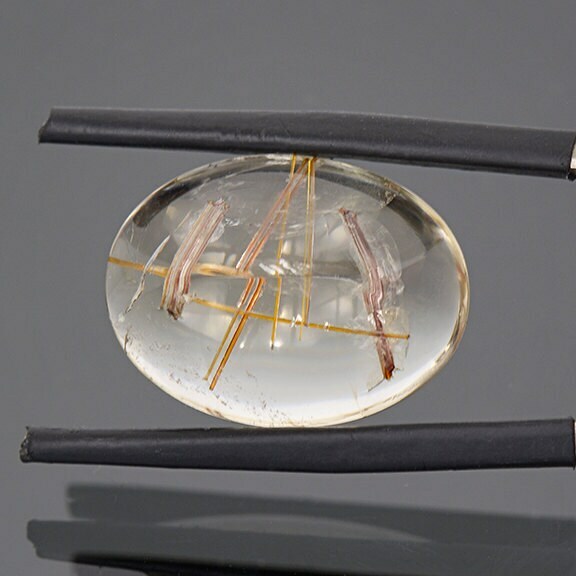 This stone features a beautiful cross hatch pattern of Rutile incased in excellent quality clear Quartz. 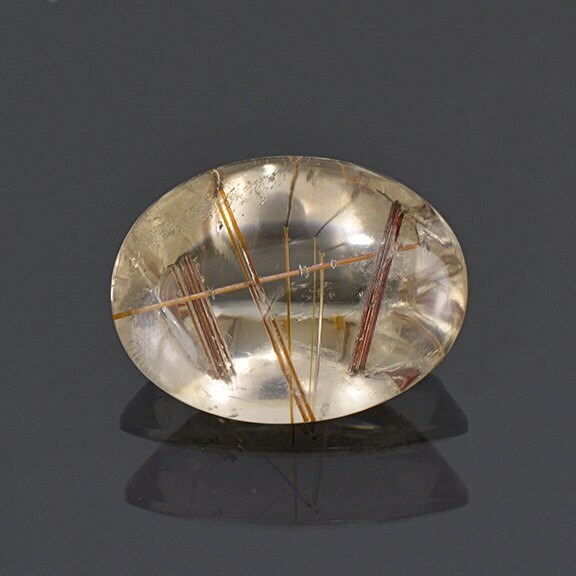 The Rutile flashes a beautiful copper color when moved in the hand. 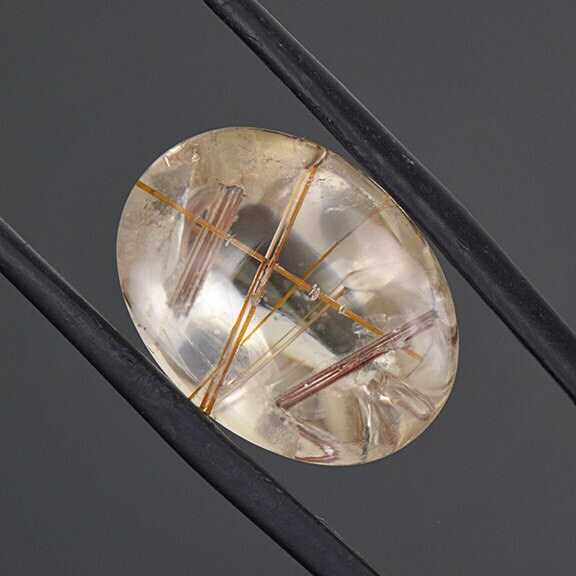 One of the most important factors for inclusion gems is the placement of the inclusion inside the stone, front and center is typically best. 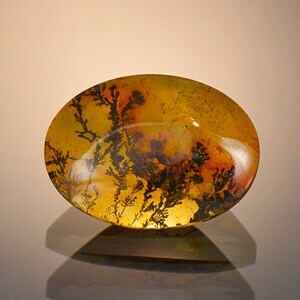 Another defining factor of good quality inclusion stones in the quality of the surrounding mineral, i.e. 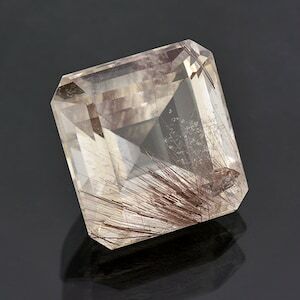 the clarity of the Quartz. 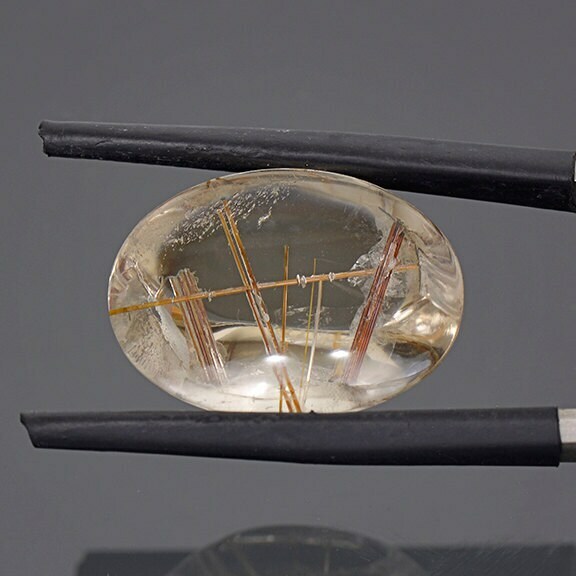 This stone has both; nice clear Quartz and the inclusions are displayed nicely in the center of the piece. Enjoy!